1-800-605-BASS toll free ordering and Credit Card ! 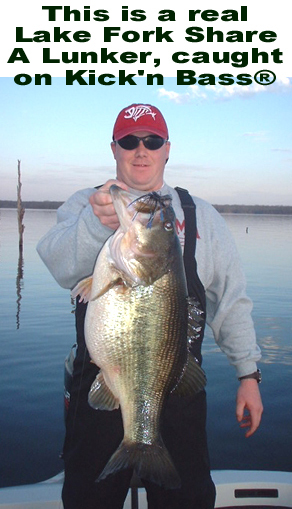 The following is a series of articles on scent and bass fishing. The views here are those expressed by a chemist, perfumer and avid bass fishermen. . These articles will be expanded as this web site grows. No matter what level you are in the sport of bass fishing I think there is something here for you. Scientific Bass Products, Inc . Smell the rest.......Now smell the Best! "Are you Kick'n Bass® or just making casts?" Kickn Bass ®Scent, the final frontier. In this high paced world of $35,000 bass boats, and tackle-boxes that have a value of one thousand dollars, it would seem like we really dont have any place left to expand. I was taking inventory in my garage the other day in preparation for a trip to Lake Oviachic Mexico, which I had booked with Ron Speeds Adventures. There were numerous phone calls back and forth and I had my work cut out. First was selecting eight good rods and about 10 or twelve reels, all loaded with either 20 # mono or heavier, plus a selection of the new braided lines. The rods ranged in size from 6 feet to 7 1/2 feet, fiberglass to graphite, and various combinations of the two materials. My two, 20 pound plus tackle boxs had to be narrowed down to one. One side worms, and the other side hard baits. I had made this trip before so I had a good idea of what to bring and what not to bring. First, out came all the little-bitty stuff, next out came all the lures I hadnt thrown in the last five years, lastly out came all the triplicates and quadruples of the same color make and model. When I got done with the hard baits I turned my box over and started with the worm side. This is where my heart sank; you see, I love to worm fish! Again, out came all the finesse worms and little split shots, out came all the three inch grubs. In went the 6-inch lizards in greens, blacks and red, followed by the ten-inch worms and the 4/0 and 5/0 hooks, not to mention the one-ounce egg sinkers and the heavy barrel swivels. When I was done with this chore, I let to two or three days go by, then I re-did it all over again. It was at this time when my fishing partner came over for a pre-trip visit. He walked into my garage and did a double take, then let out a soft whistle. "Which side are you taking?" was he first question. You see, there were tackle boxes here and their, all my light weight spinning rods and all my light weight casting rod, plus bags, boxes and trays of light weight spinner-baits, crankbaits and three and four inch worms pushed aside. He looked around for a moment and then said to "Do you know how much money you have invested here?" "A lot !" It was therefore quite ironic that the entire trip, cost of vacation, air fare, lodging and guide service should all boil down to $5.99, the cost of one lure. You see the entire success on that trip to Mexico, hinged on a bottle of scent. It was what made and almost broke the trip. Lets try and get a little deeper into the world of the wonderful fish we all love, the large or smallmouth bass. Let's start with their birth. At first they feed on microorganisms and such. Now Im sure microorganisms have a smell and taste, but to be quite honest I cant say for sure. But the next stage of a fry is the fingerling. Fingerling feed on other fingerling of both their own species and other species. As they grow they seek out fry of shad, catfish, blue gill, talapia, crappie, carp or what ever else is smaller then they are and will fit in their big mouth. The first stimulus is either sight or sound, the second stimulus is smell and taste. A typical day for a bass of any size, from fry to ten pounder is something like this. Hide from predators. (Catfish, turtles, snakes, ospreys, commerants, eagles and larger fish.) Seek out and eat prey. Thats it, no TV, no 9 to 5. Their entire life is filled with the fight of flight syndrome. You see most of the time a bass is in a resting state in cover, or positioned in an advantageous spot for ambushing a meal. The first stimulus to always come into play is probably sound. A bass feels or hears, (Its the same sensory organ.) his prey approaching. This may be the clicking of a crawfish as he digs around rocks for decaying matter, or it may be the hum of a school of baitfish moving in unison and displacing large masses of water. The second stimulus to always come in to play, is sight. We have now covered about 99% of what most fishermen think fishing is all about. Throw a chartreuse crankbait or spinner bait in muddy water and a bass will feel the vibration, home in on the sound and blast the plug. Throw a Carolina rig and the bass will see the sinker kicking up silt and nail the worm behind it. Unfortunately we all know that every plug or worm is not attacked on every cast. Some days we even go fishless after 12 hours on the lake, throwing every $20 imported lure we were told would just slam the fish. So what when wrong? Are we to believe that in 12 hours and hundreds of casts we didnt present our bait in front of even one fish? Of course not. What happened to the first two stimulus that we rely on so heavily, "sight and sound", attack! Well today the bass were in a negative mood. All the sight and sound just made them pull in a little tighter to cover until the threat of your lure was gone. They were having a bad day and we didnt adjust to the fact. When we arrived in Mexico a week before Christmas the fishing was not at its peak. The bass hadnt moved up to spawn yet and the fish all had a case of lock-jaw. We tried topwater in the morning, spinner baits in the mesquites, and were just about fishless at noon. We then went to some humps and started to throw 6-inch worms loaded up with a special fish oil scent attractant that I had been working on for about 10 years for my own personnel pleasure. It had always worked for me and I had tremendous confidence in it. My partner was a man who worked more then he fished, so he didnt have the hours of worm fishing experience to detect light biting fish. Well, for two days we didnt have to worry about that. The bass that were in a negative mood and were ignoring all fast baits, would just inhale our worms and then slowly swim off with them in their mouth. The final stimulus that day, proved to be the most important. The second day was a repeat of the first, no bite except on oil drenched worms just left sitting on the bottom, not even moving. Then at about 10 AM we ran out of my fish attractant formula, the fish stopped biting. We went for hours without a bite in the same place we had been killing them. Out of desperation my partner started to smell every worm in my tackle box, until he found one that had been scented from the previous day. He put that worm on and on the very next cast he started to catch bass again. That moment was the birth of our company, we took my private formula and started to market it. At a recent trade show a famous pro said to me, "If your scent will catch me even one more fish, its worth putting it on." Why is it then that fishermen think that the final stimulus that has been ingrained in a basss strike response since birth, is unimportant and of no meaning? Why would a bass that has killed and eaten his way through his life since he was a fry, ignore smell? If you think a crankbait is a reflex lure, think again. If you think a spinnerbait is a reflex lure, think again. A bass can swim a fast moving lure down and smell and inspect it, and just turn way, that fast. He didnt perceive that final stimulus and simply turned away. Some fishermen think that bass are so slow that they cant keep up with a crankbait that is being burned, forget it. A bass can come up behind the fastest crankbait and take one good smell, then turn on the afterburners and just zoom away. We have all seen this happen. Sure the dink may hit it, but what about those 4 and 8 pounders? They didnt get fat feeding on the smell of plastic and steel and human sweat or gasoline. There are many "Fish Attractants" out in the market place. Most are water soluble and come off after four or five cast then have to be reapplied. Most are made up of sweet smelling oils or some other nice smelling things so that the fisherman who buys it will like the smell. The best attractant (Kick'n Bass®) is made out of heavy, natural fish oil. Something that smells like fish and adheres for hours upon hours on all sorts of plastic or metal baits. The smell may be offensive to humans, but who cares if you are catching fish on it. If you want to smell pretty, go by some cologne. If you want to put the odds in your favor, you have to get back to the basics. Bass are smart and want their meal to smell like all the rest of the meals they have grown up with. I have experimented with various different chemicals, oils, fruit scents and things I dont like to talk about, the bottom line is there are some things out there that are proven stimulants. I have combined these things into a fish oil base and have out fished good fishermen 10 -20 to 1, no joke. This spring when you have to fish used water behind 100 other fishermen who are all good and flipping the same trees that you are, give yourself the edge, use our good oil base attractant, Kickn Bass®. When that hog swims over out of curiosity, trigger that age-old feeding response that she has survived with. Give her that final stimulus and Kick some Bass. Remember a good bottle of attractant cost less then a good hard-bait. Dont buy all new lures and worms this year, just treat them with a good bite stimulus and let nature take its course. Send mail to kicknbass@earthlink.net with questions or comments. This article may be reprinted as long as links are sent back to Kick'n Bass® at www.kicknbass.com and credit given to Scientific Bass Products, Inc. Articles may not be changed or altered. Send mail to kicknbass@earthlink.net with questions or comments about this web site.